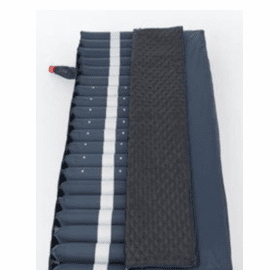 Not all Alternating Pressure Mattresses are the same. 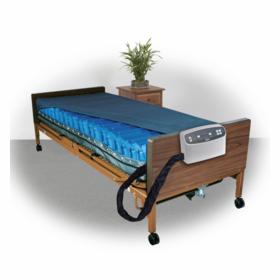 The ideal alternating pressure mattress for long term care should contain all or some the following features. 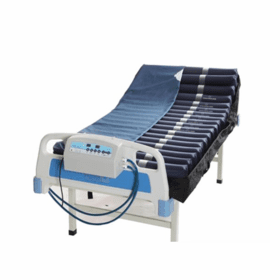 ALTERNATING PRESSURE WITH CELL IN CELL TECHNOLOGY- Cell on cell and cell in cell mattress designs prevents "bottoming out" (which can increase pressure and stop blood flow to the skin) Cell in Cell stay inflated during power outages protecting the patient from contact with the bed frame. DIGITAL MICRO PROCESSOR PUMP- Digital Micro Processor monitors air flow and pressure consistently and accurately. ADJUSTABLE CYCLE TIMES - The ability to change how often the mattress alternates. Adjustable cycles change the air cells "load-distribution"properties making sure blood is getting to the skin. 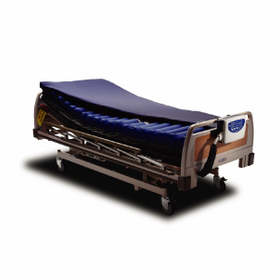 SEAT INFLATION- Prevents the patient from "bottoming out" while the head of the bed is elevated. PANEL LOCK-OUT BUTTON- Panel lock out is important to protect the pressure and comfort settings from ill-advised or inadvertent tampering. 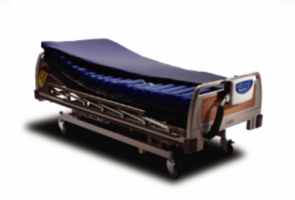 AUTO FIRM- is a feature on some powered mattresses and overlays that rapidly hyper-inflates the air cells or baffles so they perform like rollers, making it easier to turn and position patients, and may require less force than traditional draw sheets and pillows. This feature may also decrease the nursing time required for turning and repositioning patients, may reduce risk of injury to caregivers' backs, shoulders and wrists and may improve patient and caregiver compliance to turning/ repositioning protocol.